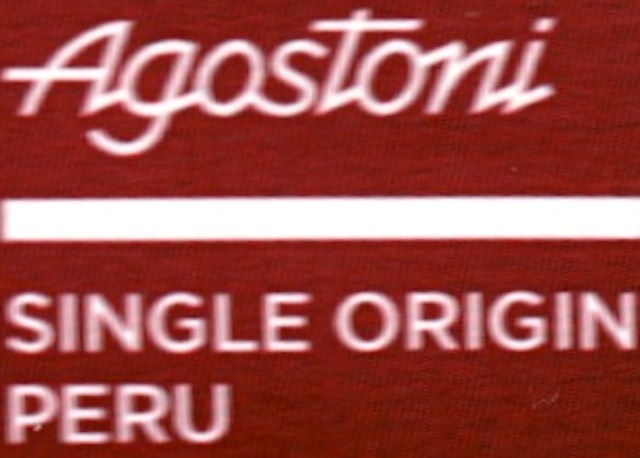 Sourced from the San Martin district of Peru, a regional area tasted before via Tcho and Willie's among others. Specifically, in this bar, Pachiza... located along the banks of the Rio Huallaga, a basin rich with cacáo diversity. Pachiza was once part of the religious-jungle fervor created by Franciscan missionaries converting forest dwellers to Christianity & "civilization". St. Francis himself after all loved wildlife & nature generally. He reportedly knew how to commune with them. Birds, wolves, rabbits, & fish were all his friends well before FB & Tweets. They sat on the receiving end of his sermons. Supposedly he could preach to trees too. That takes some supreme divine talent & possibly an inspirational guide for Jim Walsh's Intentional Chocolate play infused with spiritually-evolved goodness, or goofiness, depending on one's perspective. This is less strange than it sounds. Prince Charles & others, for instance, believe plants do better if spoken to in a soothing & encouraging way. But given what Christopher Hitchens said of Prince Charles' conversations with the inanimate, turning the heir-to-the-throne from “an advocate of harmless nonsense to positively sinister nonsense", & the de-apotheosis of Mother Teresa as a holy fraud, Hitchens might indict St. Francis for crimes against humanity & nature. Enough digression. Back on point: had St. Francis lived during the age of discovery in the New World, he no doubt would've given his blessings to his brothers of the order, that all men & women share in concert with the midges & the monkeys the transubstantiation of cacáo into chocolate. Thanks be to the 'nectar of the gods'. Produced by ICAM, the Italian manufactory owned by the Agostonis since 1946 who prefer to brand their family name in selling their line overseas. It gives a more personal touch for the burgeoning artisan market. Bigger than a boutique studio (Taza for example), smaller than an industrial candy giant (re: Mars™), ICAM/Agostoni fits the mid-sized slot similar to Guittard in the USA. Both cater to the professional trade (restaurants, bakeries, hotels, etc.) & only dabble in the premium sector as a side-bar. This particular Grand Cru begins by suppressing Peru's traditional firepower. Technically a couverture, it contains slightly higher cocoa butter content for greater flow characteristics & workability in the kitchen for making truffles & pastries (though the Texture belies this intent). The roast also contributes to taming this origin's feral nature. Together, the butter & roast combine to create a chocolate of low astringency & nearly bitter-free (except those charred Oreo™ FXs). Neither separately nor in combination can they altogether squash the inevitable: an unexpectedly fecund Taste (compared to the rather base Aromatics) from a melt that unleashes a multi-variegated Flavor Profile which holds its center around Spices/Herbs. Much is owed to the skilled cacaoteros / Bromans / growers in Pachiza who faithfully ferment in accord with the seed type & the territory. A welcome addition to the Peruvian portfolio.